To subscribe, click the red “SUBSCRIBE” button on the sidebar to your right, no spam emails, no sales pitches, just the Milton Real Estate Update in your inbox! 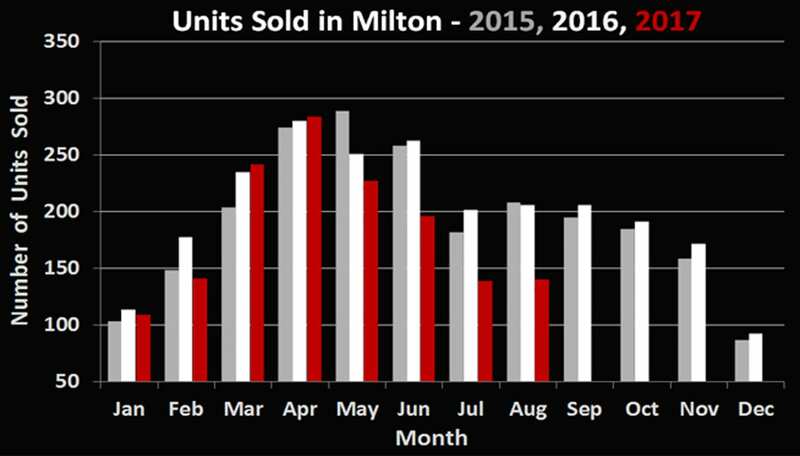 The 140 residential sales here in Milton for August 2016 represent a 33% decline in volume when compared to August 2015. Though the trend since the government’s “Fair Housing Plan” seems to be continuing, volume is up slightly from last month. Average price ($654,300) is up a mere 0.75% when compared to the prices last August during a scorching summer market. It appears tone of the major local news sources has started to turn a little more positive with regards to the GTA real estate market. Lately we have been seeing more optimistic articles and projections More so than all the government regulations and changes implemented in April, it appears to have been the media that has had the biggest impact on the Ontario housing market. Having spoken to hundreds of buyers in the past 6 months, it has been the major theme that has come up in conversation when discussing potentially making a move; “The Toronto Star said the market will continue going down”, “The Globe and Mail says this is only the tip of the iceberg!” etc. 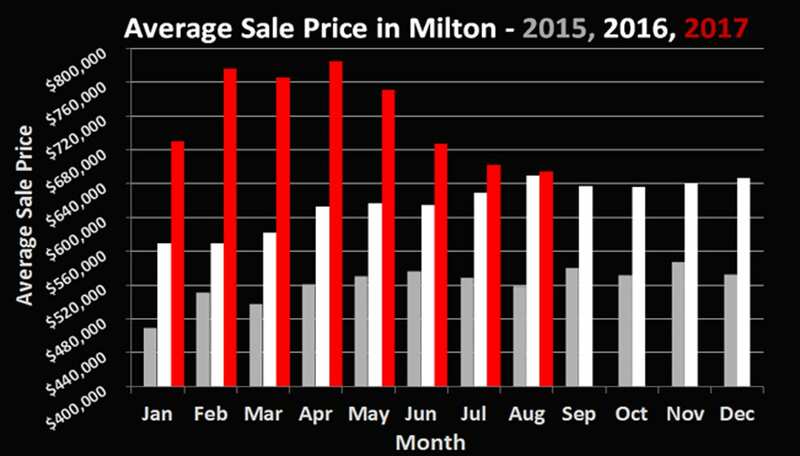 We expect the positive news to continue and for the fall real estate market in Milton to be a little more on the normal side of things. If you have questions about the current statistics or trends, don’t hesitate to call or email us. We’re always available to chat real estate!